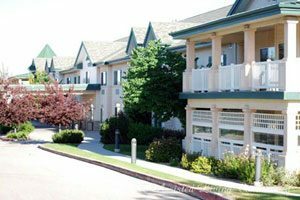 The senior apartment amenities at PeachTree Place Assisted Living Community are the finest available in Salt Lake City and the surrounding areas. Whether you choose our studio or 1-Bedroom floor plan, you or your loved one will enjoy the comfort of features such as private bathrooms with safety-equipped walk-in showers, convenient kitchenettes, spacious walk-in closets, individual thermostat controls and satellite TV. All of our residents also have easy access to a host of on-site services and benefit from 24-hour monitoring by our staff of health care professionals. Your safety and comfort are important to us, and we have designed the private bathrooms in our senior apartments with that in mind. The walk-in showers are spacious, featuring a comfortable chair, safety bars, and low entry steps for easy-of-use. Each shower has anti-slip flooring and a magnetic shower curtain system to prevent falls. The walk-in showers in both of our floor plans feature convenient controls as well as comfortably placed shampoo and soap caddies. Enjoy peace of mind with shower amenities designed to provide you with a relaxing experience while ensuring your safety. We understand that cooking is an important part of maintaining independence. Although PeachTree Place Assisted Living Community’s dining room provides each person with meals and snacks, the residents in our senior apartments enjoy the option of dining in the comfort of their private quarters. Our studios and single bedroom apartments feature convenient kitchenettes with wide access entry and easy-to-reach cabinetry. Your appliances such as refrigerators and microwaves are welcomed to make meal preparation safe and enjoyable. You or your loved ones may have many precious items, and the walk-in closets in our West Haven 1-Bedroom Apartments accommodate the important things you own. Our hanger system and shelves are easy-to-reach and provide convenient organization for your clothes, keepsakes, and other personal belongings. Each closet amenity features wide doorways and spacious walk-through access. Entertainment is important to the residents at the PeachTree Assisted Living Community. Although our Recreation Center is available anytime, we know that being able to watch your favorite TV programs in the privacy of your room is an essential amenity. Every senior apartment is equipped with satellite television, featuring your favorite TV channels. Each unit comes with a television remote control that is easy to operate. 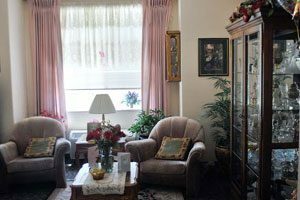 PeachTree Place Assisted Living Community has the best senior apartment amenities in Salt Lake City and the surrounding areas. The beauty of living in a West Haven senior apartment at the in our community is that you can use all of our communal amenities, including recreational facilities, a beauty salon, and exercise equipment. And at the same time, you can enjoy the benefits of having private accommodations. Our on-site professional staff also provides 24-hour monitoring and medicine delivery, helping to ensure your health and safety. Experience the best in senior living in the Ogden and West Haven areas. 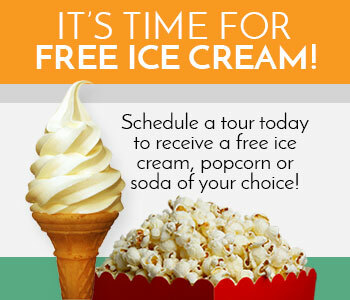 Make an appointment today for a personal tour, and see firsthand the beautiful amenities that our senior apartments and studios have to offer.